A new version of GL-Z is available. 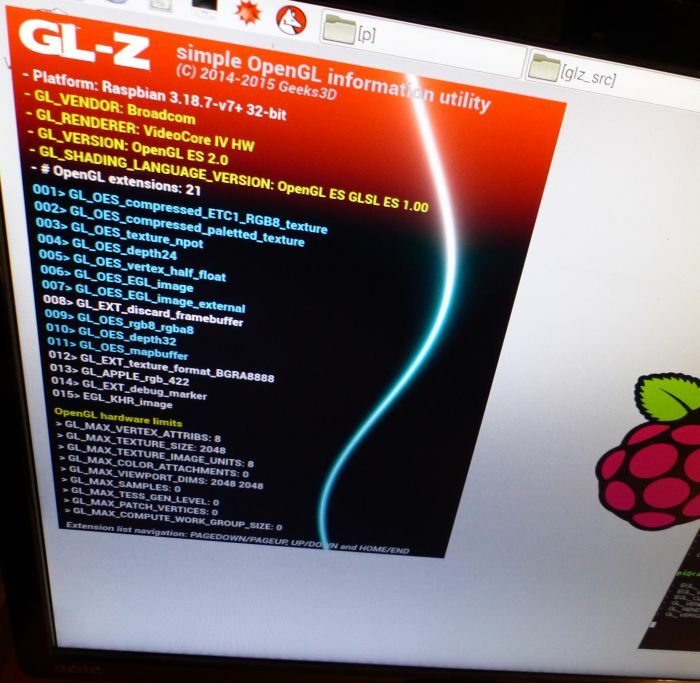 GL-Z is a tiny OpenGL information utility based on GLSL Hacker. Feedback and bug-reports can be posted HERE. If you want to hack and tweak GL-Z or just want know how it’s done under the hood, the source code in Lua is available in the glz_src/ folder. Hi, I tried using Gl-Z on my linux machine. Didn’t work. Looks like there’s some missing plugins. Here’s the log. Thanks. 2015:05:18@14:38:48(0000000016) Unable to load the plugin (plugin_gxl_python_27_x64.so). 2015:05:18@14:38:48(0000000017) Python 2.7 plugin (plugin_gxl_python_27_x64.so) not loaded. 2015:05:18@14:38:48(0000000043) Window win3d01 – demo created with an OpenGL 3.0 context. 2015:05:18@14:38:48(0000000044) Window win3d01 – this demo requires an OpenGL 3.2 context and your system supports OpenGL 3.0 only. Demo aborted. 2015:05:18@14:38:48(0000000045) Unable to initialize the 3D window (win3d01). An OpenGL 3.2 support is required. 2015:05:18@14:38:56(0000000046) Render thread – window win3d01 – window3d init failed. Please try the latest GL-Z 0.3.0 (download it from this page) which is based on GLSL Hacker 0.8.4 (you tried an old version). 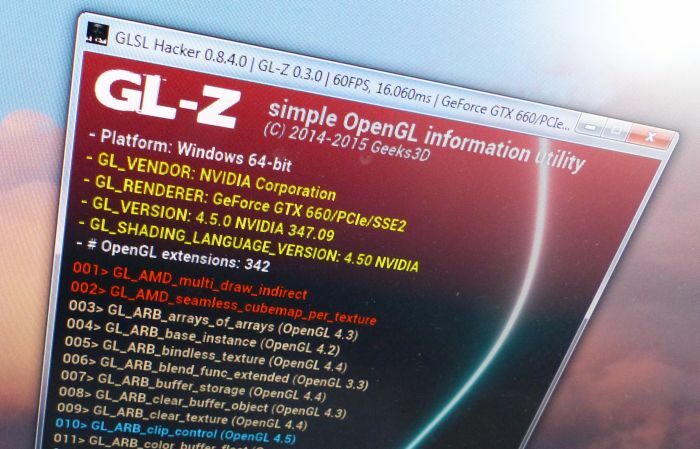 GL-Z 0.3.0 asks for an OpenGL 3.0 context instead of OpenGL 3.2 like in old versions. Let me know.